Breakaway advisor James Eastman tells ThinkAdvisor how Morgan Stanley read his email and painted his compliance record when he tried to leave. Morgan Stanley can be a punishing place for advisors who “don’t want to just sit around and sell stuff,” James Eastman says. His name became mud with Morgan Stanley Smith Barney when the firm discovered that James C. Eastman, an esteemed, top advisor to ultra-high net worth clients, was planning to leave. After eight years with the wirehouse, heading the No. 1 producing team in his branch, the wealth advisor was fired. Unsurprisingly, Morgan Stanley took the advisor to arbitration by the Financial Industry Regulatory Authority, demanding that he pay two promissory note balances. But this is where Eastman’s story takes an unexpected, remarkable twist: FINRA ruled that, because Morgan Stanley brokerage wasn’t the notes’ owner, it had no right to bring claims and dismissed the BD from the case. Once the Morgan Stanley (MS) company that did hold the notes was brought in, Eastman’s debt was reduced by half. Yet that’s far from the end of this advisor’s struggle. Five years into his battle with Morgan Stanley, he is now in Chapter 7 bankruptcy. Fighting for justice, Eastman this past spring brought two whistleblower claims against the firm through the Securities and Exchange Commission. That was as Morgan Stanley sought in court to force Eastman to pay its legal fees. He offered a settlement in the high six-figure range. But the wirehouse said no deal unless he dropped the two pending whistleblower claims. Incensed, Eastman refused, opting instead to file for bankruptcy to protect not only his finances but the whistleblower claims. 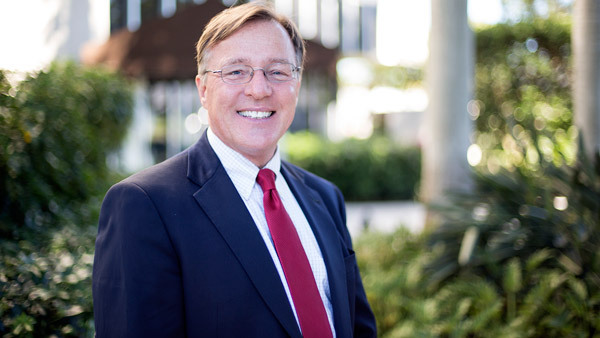 A Naples, Florida-based financial advisor since 1987, first with Robert W. Baird and before that an Ernst & Ernst CPA personal finance specialist, Eastman in 2001 joined Smith Barney, where he was a director of family wealth management. The Bentley University grad from Fryeburg, Maine, ran a team with more than $200 million in assets under management. For the last four years, he has been building his own firm, Regional Family Offices, which he describes as the nation’s first member-based family office; it focuses on collaboration among financial planners, CPAs, attorneys and other finance professionals. A frequent public speaker, Eastman enlightens audiences on the difference between advisors who hold to a fiduciary standard and those whose focus is sales. With outrage and dismay, Eastman recently told ThinkAdvisor what he has suffered as a breakaway broker. ThinkAdvisor: How did you come to work for Morgan Stanley? James C. Eastman: I recruited myself into Smith Barney. In hindsight, it was the worst decision I ever made. I was an at-will employee, meaning they can fire you for any or no reason; and you can leave for any or no reason. What it actually means is: We can terminate you for any reason or no reason. But if we get any hint that you want to leave, you’re through. I can’t imagine a firm doing this to a guy they made a fortune off. They got more than half of [what I made] for eight years. Why did you choose to stay that long? I was making a ton of money. But in 2008, things started getting difficult. People were questioning the viability of the firm. The merger with Morgan Stanley was announced. We were losing trust and confidence in the firm’s management, so I started exploring and got serious about two opportunities: one at a CPA; the other at Charles Schwab. You were talking with both? Yes. But Schwab warned us that if the firm found out, we’d be in big trouble. In my naivete, I found it impossible to [fathom] treating a top producer who had a clean record that way. My assistant said, “We have to be careful. If they find anything at all, they’ll monitor your phones and emails. We have to come up with code names.” So in the office around the other brokers, we used code, but not in emails. And the firm learned of your plans. I didn’t know it, but they were looking at every one of my emails. They intercepted two: one from the CPA saying, “It was great to meet with you yesterday…This is a perfect match. We have a place ready for you.” Schwab sent an email to my home. Unfortunately, because I didn’t work with emails at home, I made the error of forwarding it to myself at the office. How did Smith Barney react when they found out you were planning to leave? They started to “paint” my [Form] U5. That’s when a firm wants to dig up or create something to put on your U5 as a reportable offense to give them ammunition when, after you leave, they try to retain your clients — who they feel are their clients. They found a transaction that had been preapproved by my branch manager, but they accused me of violating the branch manager’s operating manual policy. I had a $1 million research account of my own money, in which I used quantitative analysis techniques I had created, to test all sorts of securities. The account held ETFs and other new investment [vehicles]. I advised my clients that I was testing these techniques with my own money before I put them in their portfolios. This worked fine for two to four years. In the middle of 2009, FINRA came out with a rule saying inverse and leveraged ETFs may be inappropriate for unsophisticated investors in retail accounts. I totally agreed. I wasn’t using a lot of leveraged ones; we used more of the inverse funds in client portfolios to minimize risk. What then? The branch manager, Ed, came in one day: “The firm has banned all inverse and leveraged ETFs based on FINRA’s rule. You have to sell them.” I said, “Can’t you apply for an exception? I’m a professional money manager with fee-based accounts. All my clients are very sophisticated, wealthy retirees. Is the firm going to cut any slack for people who aren’t abusing these funds?” He said he would apply for an exception but never did. They just forced me out of them, and I sold all that were in the clients’ accounts. Did the firm already know you were leaving? Yes — but I didn’t know they knew. I asked Ed: “I have to keep conducting this research because it’s important to my ongoing educational efforts. Would it be considered a broker account held outside the firm if my adult son opened an account in his name?” He said, “No, it wouldn’t.” So I loaned money to Devin, who wasn’t living at home, and he opened an account to test my techniques and execute the trades. It was the very next month, October 2009, that the firm saw those two emails from the CPA and Schwab. Unannounced, they brought in a compliance woman from New York. She said, “Tell me about this account and your research” – all kinds of things they already knew. “Tell me about the loan to Devin.” They were obviously fishing. Ed was sitting right beside me. I told her I loaned the money to Devin – through the Smith Barney checking system — and that Ed had approved the account. “Do you have a problem with that?” She said she was just gathering information. A couple of weeks later, they asked to see a copy of the loan. I said to Ed, “This smells bad. I’m not going to provide anything more. If you want me to close the account, tell me and I will.” He didn’t say anything. He knew I was leaving. Our planned departure date was May of the next year. You were a top advisor. Why didn’t the firm say, “What can we do so you’ll reconsider and stay?”? Did you speak with Ed further before he lost his job? I asked him: “Are there any examples of a quality advisor who decides [they’re] not a good match with the firm and tries to part company in a professional manner?” The firm’s investigation was already underway. He looked right in my eyes and said, “You’re the top producer. You’re the most valued member of this team. The firm will do anything it can to keep you.” But at the same time, they were trying to dig up dirt on me. They just lied right to my face! Disgusting behavior. What did they find? According to the branch manger’s manual, if a broker lends money for an account to an adult child living at home, it could be considered the broker’s account outside the firm. Although Devin wasn’t living at home, he used our home address to receive statements. So the firm mistakenly thought he was living at home. When did that become grounds to terminate you? And they proceeded to do so. Right before Christmas, the new Morgan Stanley manager and Ed came into my office to tell me. But by then, I was prepared. I said, “I know how you guys play the game. I’m not going to take a single thing from my office because you’ll accuse me of taking all kinds of information. You can pack up what you want me to have, and I’ll stop by on Friday to pick it up. Please don’t do any more damage to my reputation. I’ve got to make a living.” And I left. And at that point, you hired Chris Vernon, of the law firm, Vernon Healy in Naples. How did Morgan Stanley respond when Chris became involved? They said, “We don’t have to prove the allegation; we just have to allege something.” But they changed it when we told them, “You’re in a world of hurt if you put all of that in.” Now [the U5] says that I maintained “an account outside the firm non-client-related.” Still, it’s a mark against me, and no one on my level likes black marks. What happened with your clients when you left? You can imagine what the aggressive brokers said when they started calling them. About a third came with me. But this was 2009, and people were afraid of everything. My wealthiest clients — with $10 million to $20 million – said, “Jim, I trust you, but this is the world of Bernie Madoff. You have 100% of my money. I’m going to stay at Smith Barney [Morgan Stanley].” All I could say is, “I totally understand.” So my assets went from a high-water mark of over $200 million down to $45 million — down to nothing. But after you left, you were able to launch your own firm. I set up shop at a small BD, Westport Resources, to continue my longtime work to become a member-only family office. I [affiliated with them] because that’s how I was able to gain access to Pershing [as custodian]. Then Morgan Stanley filed claims against you. A few days later you brought claims against them for wrongful termination and defamation, among other issues. Morgan Stanley came after me for the forgivable loans, which they had every right to do. I had two notes with a combined balance of over $500,000, including interest. One was on my $1 million [signing bonus]; the other was on a small retention [bonus] that Smith Barney paid [advisors] in the summer of 2009. I owed the money, and I wanted to pay it. My focus in all of this was more on the issues of ethics and moral behavior. When did you find out that Morgan Stanley brokerage didn’t own the notes? Chris fought hard to get about 32,000 pages of discovery [evidence]. He called me in the middle of the night: “What’s ‘FA Notes Holding’?” We learned that Smith Barney had about $6 billion worth of advisor notes, including mine, in a non-FINRA-regulated subsidiary in order to avoid FINRA’s capital requirements. Morgan Stanley picked up this policy. Seems as though they want it both ways. Exactly. They want to avoid FINRA regulation for requirements, but they also want the benefit of FINRA arbitration for collection. It makes a total joke of the whole regulatory system. What happened in the arbitration? A Smith Barney management person said that when a broker leaves, the firm owns the client accounts. I thought, “Are you kidding me! Those are my assets!” When they were recruiting me, they treated me like the client relationships belonged to me. But when you leave, they own the client accounts! They treat clients’ assets like assets of the firm. They use the money in the accounts to support I.P.O. stuff. Is it any wonder they sell securities that the trading desk doesn’t want to their [retail] customers? What about the firm’s alleged actions when they discovered you were planning to leave? Were those issues part of the arbitration? There was no real discussion of reading emails, lying to me, “painting” the U5 with what turned out to be false information because the transaction in question had been preapproved by the branch manager. How did Chris persuade FINRA to dismiss Morgan Stanley brokerage? He said they had “no standing” [no right to bring suit] because they gave those notes away. FINRA told them, “You transferred those assets. You did it to avoid regulatory requirements.” I wound up owing half the balance, plus 5% interest. And that was that? No. Morgan Stanley didn’t like it when The New York Times picked up the story, and they got some bad press. They [probably] thought that one day somebody may go in and look at their balance sheet and call it a little unusual. They had spent several hundred thousand dollars in arbitration legal fees. So they started pressing me for that money. FINRA said we had to take the matter to court. The judge said the firm was entitled to sue for legal fees even if the amount is zero. The second part would be [to determine] how much I owed. At that point, I decided I had better things to do than go back to court. But a few months ago, you brought two whistleblower claims against Morgan Stanley. It’s the arrogance and impunity with which the largest brokerage firms act that has, in large part, resulted in the crises we’ve had over the past decade. After you filed those two claims, you entered into negotiations to settle regarding the legal fees. Right, but Morgan Stanley was aggressive and unreasonable. I was ready to pay them a ton of money, a large six-figure number. But they said dropping my two whistleblower cases was a condition of their settling. They were pushing it too far! They forced me to file for bankruptcy in order to protect myself from having a judge say I owed them [up to] $800,000 in legal fees and to [preserve] the whistleblower cases. What advice have you for FAs who want to leave wirehouses? Be very careful. Assume the firm is tapping your phones and intercepting your emails. Conduct all your business relating to departure outside the firm. Hire a lawyer before you leave. Be clean. Don’t say anything to anyone that you don’t want the firm to find out about. But you should assume that they are going to find out. And when they do, they will use it as they see fit. How do you feel now, in general? I’m happy during the day and kind of sad at night, as soon as I come home and read my e-mails. Morgan Stanley [via Vernon] keeps asking for [financial docs]. They just want to wear you out. They’re going to drag this out until one of us will run out of money. I’m a marathon runner, but I’m pretty sure I’ll run out before Morgan Stanley does. They just don’t want a broker to win.